There are thousands of football players across the country that share Sammy Fort’s dream of playing collegiately. But few wear that dream on their sleeve and let it drive every action and every choice quite like Fort. 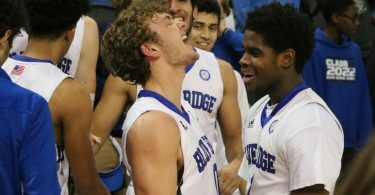 Which made celebrating his signing with North Dakota Monday morning that much sweeter for the Blue Ridge senior. When Fort was 10, his brother Salim passed away and Fort adopted his brother own football dreams as part of his own identity at that young age. Fort plays football with a raw, unfettered intensity. When he scores touchdowns, he often just keeps running all the way to the sideline, celebrating with teammates along the way. 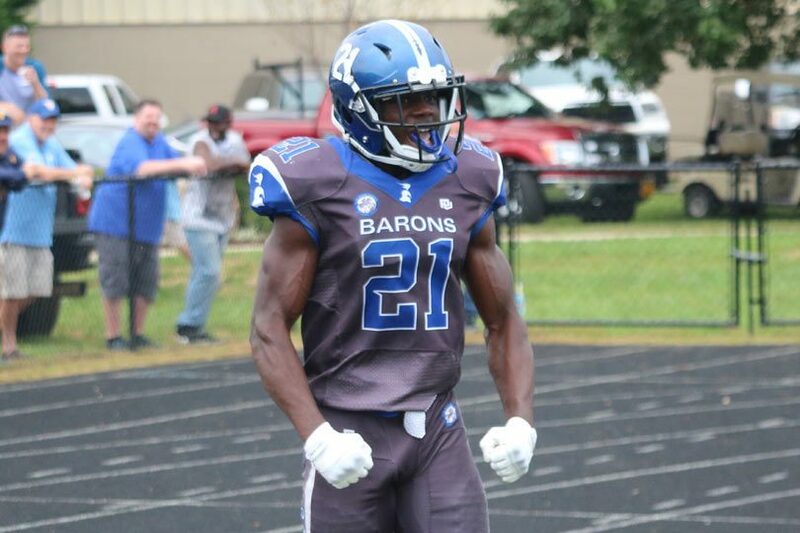 He hits the hole with ferocity as a running back and he’s a hard-hitting, two-time all-state defensive back who is also a very capable cover man. That intensity is a product of his love of the game, his drive to get to the next level and an appreciation for the opportunity the sport has given him. This year, Fort was named All-State in VISAA’s Division II at running back and defensive back with five interceptions and 912 all-purpose yards and 12 touchdowns highlighting that senior campaign. He checks in at 6-feet-0 with a 4.57 40-yard dash that has the potential to make him an impact player for North Dakota. It has helped too that he found that right environment to pursue that success in. 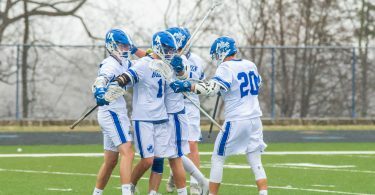 Fort has made significant progress in three years in St. George while working hard alongside fellow college football aspirants like Xavier Kane, Myles Ham and Michael Asher. Fort was recruited to North Dakota as a defensive back and he’ll join a program in Grand Forks that made the FCS playoffs in 2016 and is in transition with a move to the vaunted Missouri Valley Football Conference coming in 2020. If Fort brings the same enthusiasm, intensity and approach he’s brought to Blue Ridge, North Dakota is going to have something special. Like Fort said, he’s not done yet, and recent history has taught us that he follows through on goals and promises.